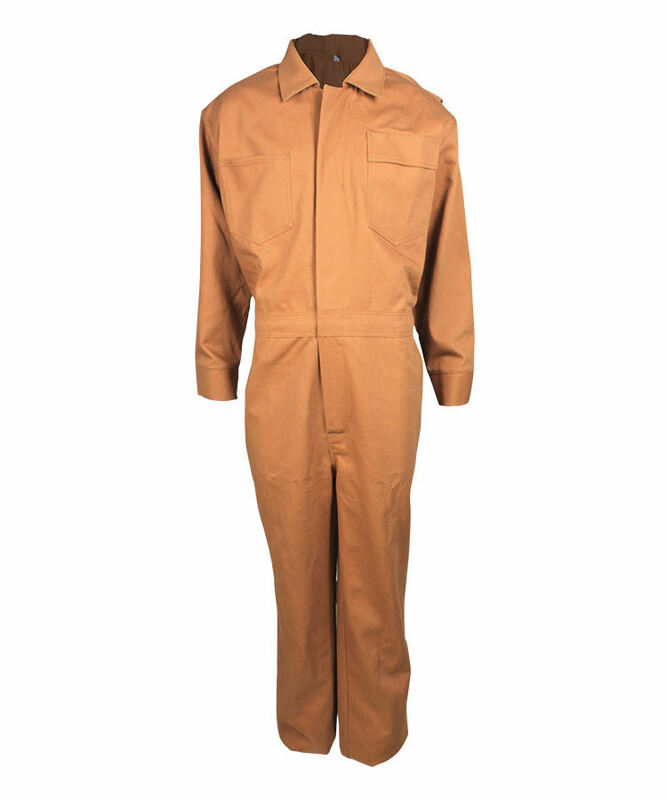 This cotton polyester arc flash coveralls made of 280gsm 75% cotton 25% polyester arc flash fabric, and can meet NFPA70E, IEC 61482-1-2 and other standards. 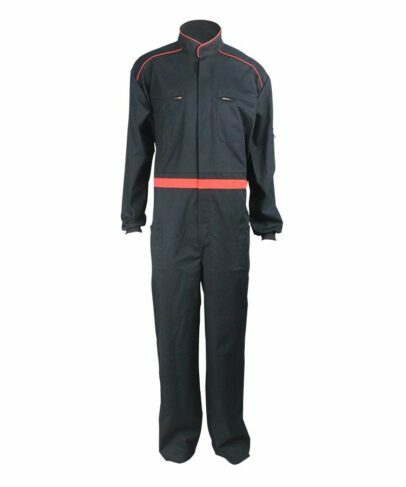 The cotton polyester arc flash coveralls can prevent electric spark, electric arc and metal droplets effectively, also can prevent the spreading of flames, and the cotton polyester arc flash coveralls has good fire retardant function, quality can meet European standard and American standard requirements, and the property would not lead to failure or deterioration because of washing. Knife pleats on the back, flexible for arm spread. 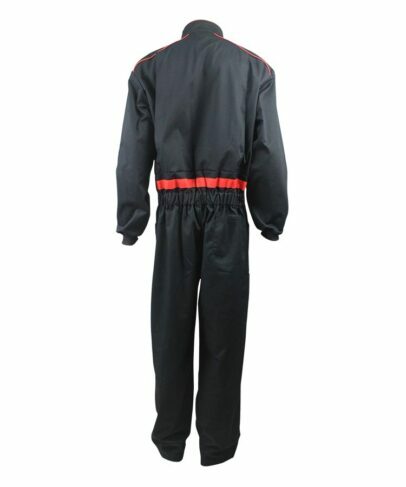 Up and bottom waist line joint together, 5cm width elastic band added into the back waist line, waist size adjustable, suitable for different body type. Knit fabric as sleeve cuff, much comfortable. 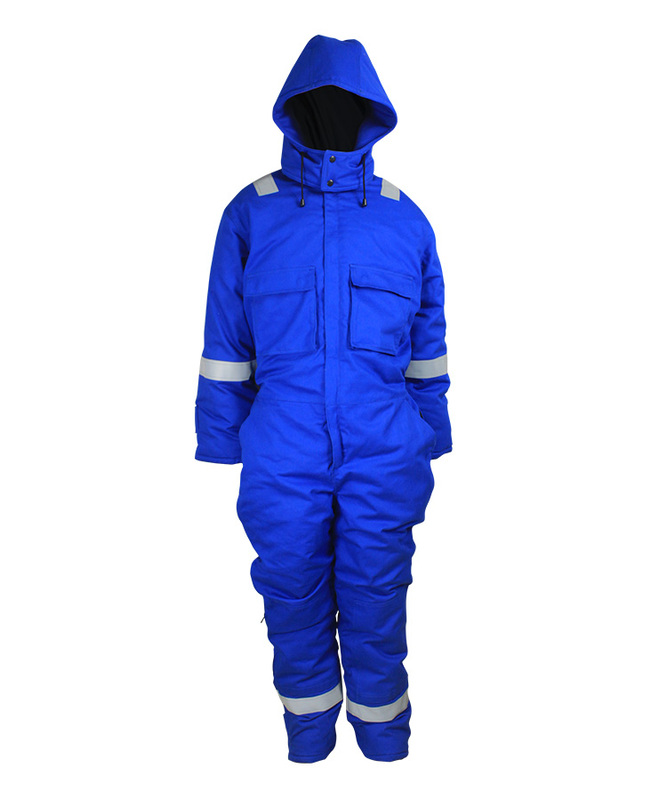 Slanted patch pocket on each side of the cotton polyester arc flash coveralls, closure with Velcro. Shoulder joint together with oblique line, add contrast color rolling tape in the joint position. One pocket on the wearers’ left sleeve, closure with Velcro. Add one circle contrast color waist tap below the edge joint of the waist line. 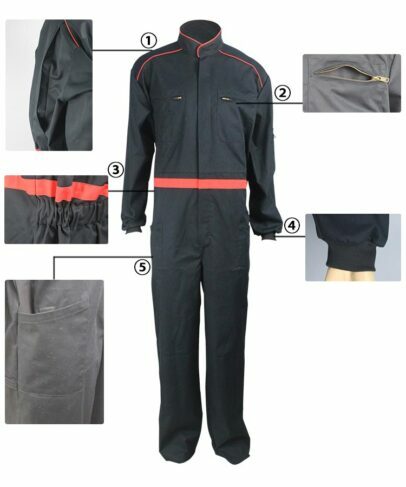 Patch pocket on the hip, closure with Velcro. One rectangular tool pocket on the lower right corner. Kneecap increase the abrasion resistance. Front opening closure with double closed metal zipper. Mandarin collar, contrast color rolling tape on the top seam of the collar. All force bearing part with bar-tack, increase fastness.